They answered the casting call and campaigned for votes, raising $15,000 for our charity programs. 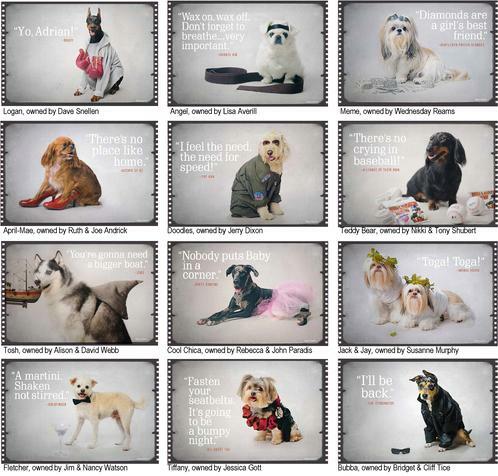 Each of the winning pets has a starring role in the 2014 calendar, posing as a famous film character. Runners-up earned supporting roles throughout this beautifully crafted publication. Professional photography was provided by Addison Fitzgerald and calendar design by fine artist, Maribel Angel. The calendars are available for just a $10 donation each, either by ordering online or picking up in person at the following locations: Tres Sebastian, Antique Warehouse, J. R. Benet, Dogtown USA - St. Augustine, and the St. Augustine Humane Society.